Wow! So it looks like November just whizzed by without a single blog post from Team Chompy. Pretty bad form! We feel the need to rectify this with a combined blog post about everything that has happened. Firstly, the reason why we've been so slack at updating the blog is because we've been very busy. 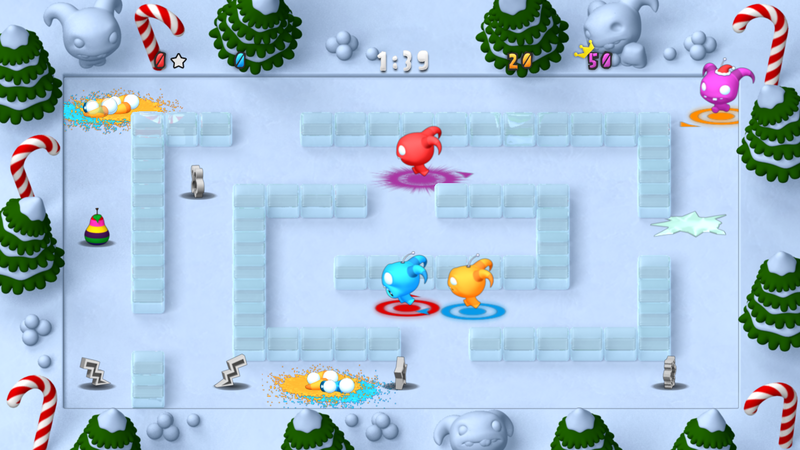 We have a new update to Chompy Chomp Chomp out now! This update gives you 6 new maps including 3 festive themed ones in which to chomp your friends and families this holiday season, and santa hats for the winning chompy! The update is free, and the game itself remains at the teensy price of 80 Microsoft Points. Get into the festive mood with this wintery screenshot! On top of this there are retro levels that the people who saw us at Play Expo got to play first! And way back, well over a month ago now, we were in Nottingham for GameCity 7. We could only make it for one day, which was a real shame because it was a week long festival with awesome things going on every single day. We were in good company on the day though as the lovely lads from Dlala were there showing their space based physics adventure, Janksy. It's a neat little tablet puzzle game that's exclusive to Windows 8 (for now, I believe) so if you've got a new Windows 8 PC or one of those swanky Surface tablets you should definitely check it out. I used to work with some of the Dlala guys at Jagex so it was a bit of a reunion! 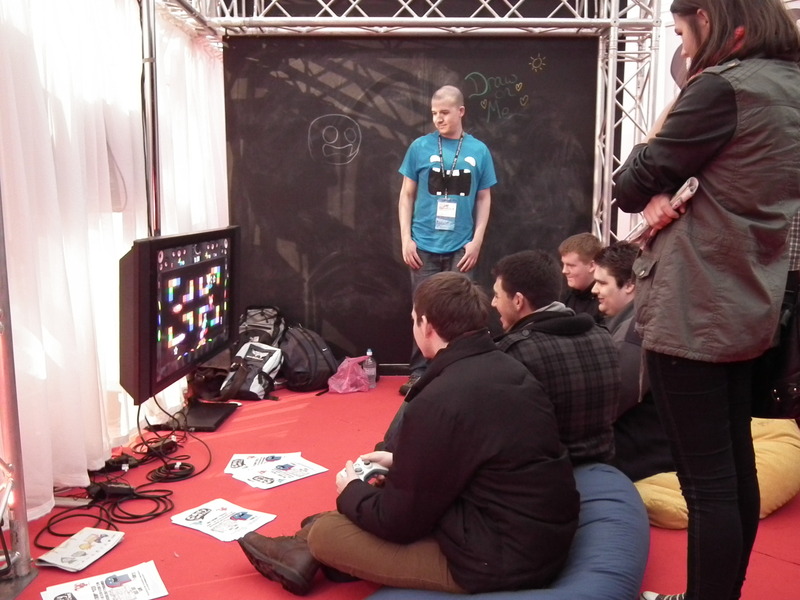 Here's a snap of some folks enjoying Chompy Chomp Chomp at Game City, we had some awesome beanbags.